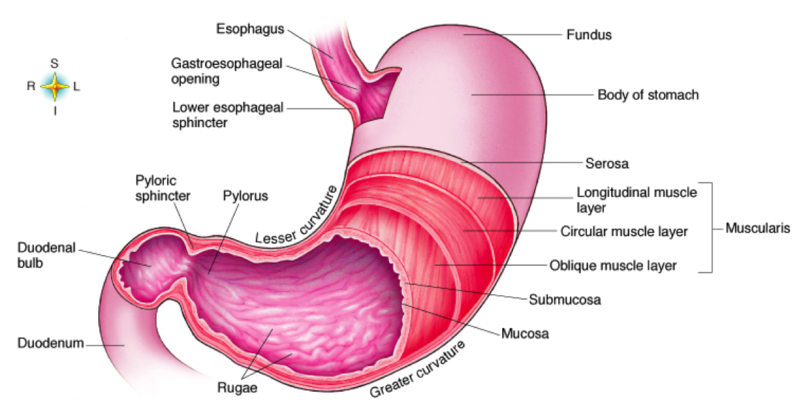 Our bodies were designed to go for days without eating. Our prehistoric ancestors would not experience undue stress the way we do from missing just one meal. However, we have spoiled our bodies. Every time we get hungry, we start to breathe very shallowly. This is because we haven’t learned to retain our calm while hungry. The best way to overcome this is to spend several minutes pairing fasting with diaphragmatic breathing. Skip a meal, or at least delay a meal for 2 to 4 hours. When you do so focus on the sensation of hunger and the way it affects your breathing. Don’t skip a meal in the middle of a hectic day, this will further traumatize your relationship with hunger. Rather you want to pair the fast with pure calm. Fasting for more than a single meal can be stressful as well. When I skip a meal, I do nothing and just relax for the 3 or 4 hours when I am at my hungriest. A few hours after your normal mealtime, you will notice recurring pangs of hunger. The hunger pangs are driven by shallow breathing, but diaphragmatic breathing will make them disappear. All your life until now you have paired hunger with shallow breathing. Dissociate these by using paced breathing to override hunger’s ability to highjack your stress system. 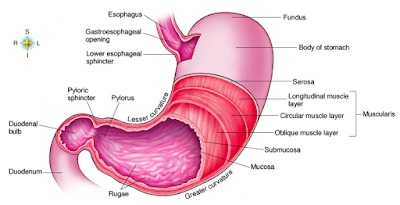 I have found that by pairing diaphragmatic breathing with hunger, I have dramatically soothed my hunger drive and I eat less now because of it. 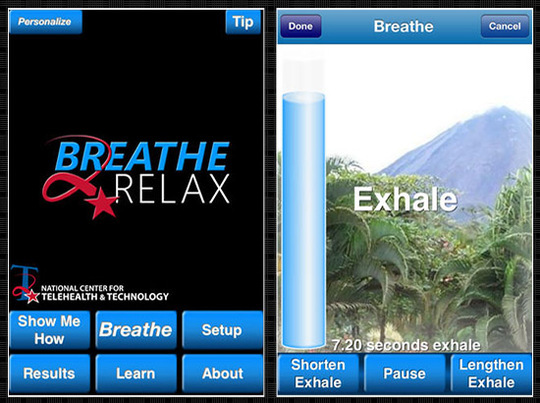 The best way to ensure that you are breathing diaphragmatically is by using the breath pacer app Breathe 2 Relax. This is sometimes called a breath metronome. It will help you ensure that you are taking longer deeper breaths. Breathing in the range of 1-2 seconds per breath during hunger will make your hunger more neurotic. Breathing in the range of 4 to 12 seconds per breath will help you bring peace to hunger. Breathing on longer intervals recruits the diaphragm, which in turn recruits the relaxation response. You want to flood your hunger pains with the relaxation response. 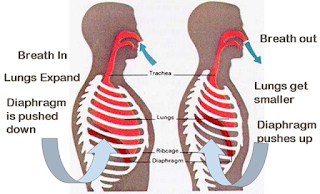 For my full description of how to achieve diaphragmatic breathing click here. Plan to skip dinner or lunch and spend 2 to 4 hours quelling your hunger pangs using diaphragmatic breathing. Concentrate on the sensations of hunger and how they make your breathing shallow. It is best to breath along with a breath metronome somewhere in the range of 4-10 seconds for each inhalation and 6 to 12 seconds for each exhalation. Pair paced breathing with hunger for at least an hour during this fast. You should start to see results within the first two sessions. There are a few supplements that have become well known in the weight loss supplement industry and one of those is an item called Phen375 https://www.phen375purchase.com/. This item is the progressive slimming pill that will undoubtedly put a grin all over. This is inferable from the reason that these weight loss pills suppress appetite and burn fat uniquely in contrast to most different products accessible. Despite the fact that you can always depend on the maker to furnish you with the data you require about a specific weight loss pill, know that the information they give won't not be straightforward and genuine. The certainties may be cleaned keeping in mind the end goal to influence their item to look great, and it could all be simply buildup. That is the reason the most ideal approach to find out about an item is truly to peruse weight loss pill https://www.phenqultimate.com/ surveys that are free and unprejudiced. A standout amongst the most widely recognized New Year's Resolutions is to get in shape. Numerous individuals spend heaps of vitality and cash this season endeavoring to lose pounds just to wind up disappointed. PhenQ Says. The key to losing weight and keeping up your healthy weight is holding stress in line. Thanks for sharing this awesome information. According to the manufacturer, PhenQ accomplishes this by targeting your weight in 5 other ways: burning stored fat, controlling your appetite, preventing fat production, and increasing mood and so energy. Discover now before and after PhenQ photos. Check out our review. Brilliantly expressed. Would definitely go for other blogs by this writer. Could Forehead Dimensions be Correlated with Prefrontal Cortex Size? Limitless: How can we unlock the full potential of the brain? Is Dreaming Similar to a Lobotomized State? Could Hiccups Represent An Evolutionary Reflexive Response to Choking? Copyright 2010 Jared Edward Reser. Theme images by mariusFM77. Powered by Blogger.